Looking East at our establishing Gibson Island Rehabilitation project site as at July 30 2018. Visy building in the background. 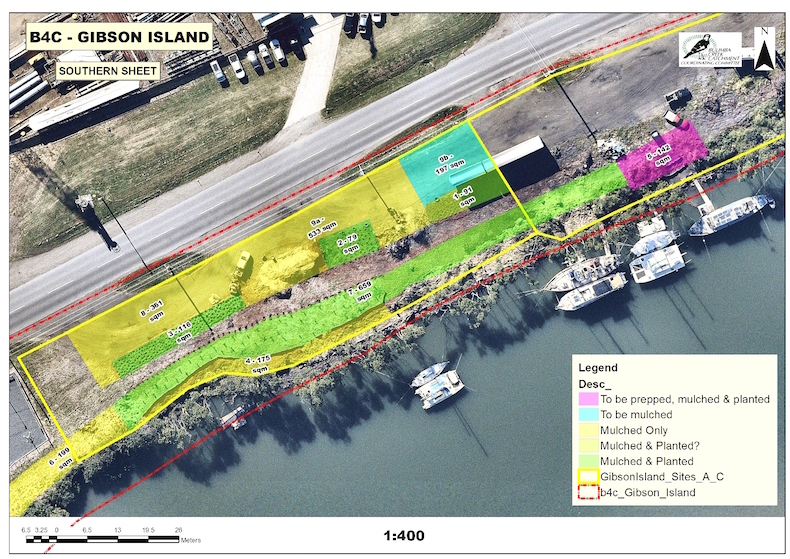 Since starting in April this year on a newly cleared but degraded site on Aquarium Passage, we have made some excellent progress on the Gibson Island Rehabilitation Project. Promising to see new shoots growing on previously battling plant. We’re using Bioactive live culture as part of a microbiome trial. 2364 sqm mulched and prepared for revegetation. 900 sqm of area rehabilitated and revegetated. two events – clean-ups and planting days with industry and community – April and June. Erosion controls and sediment fencing implemented along embankment. Bird habitat piles retained and consolidated. Finches, wrens and small birds are using them. Read about the project launch in April. Area A (first of three areas) has only 197 sqm of preparation and mulching to complete plus another 1000 plants to establish. 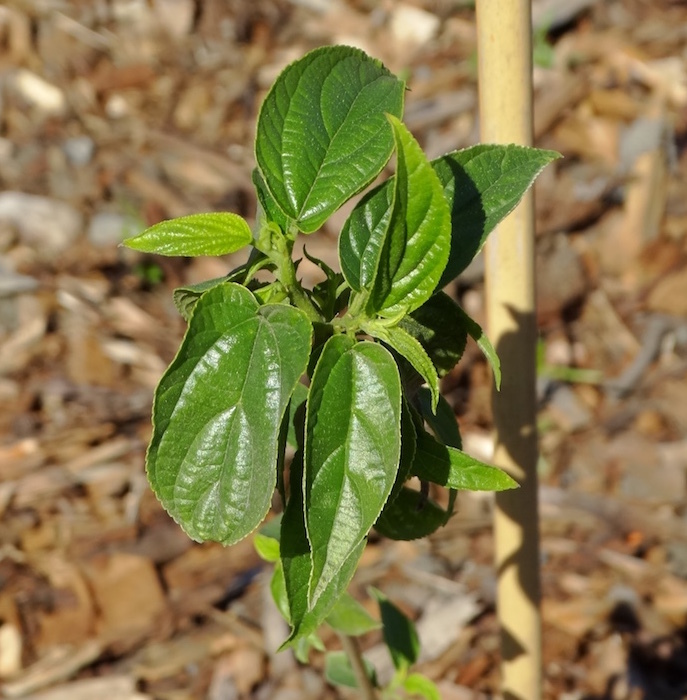 Area B – 80 plants already established. 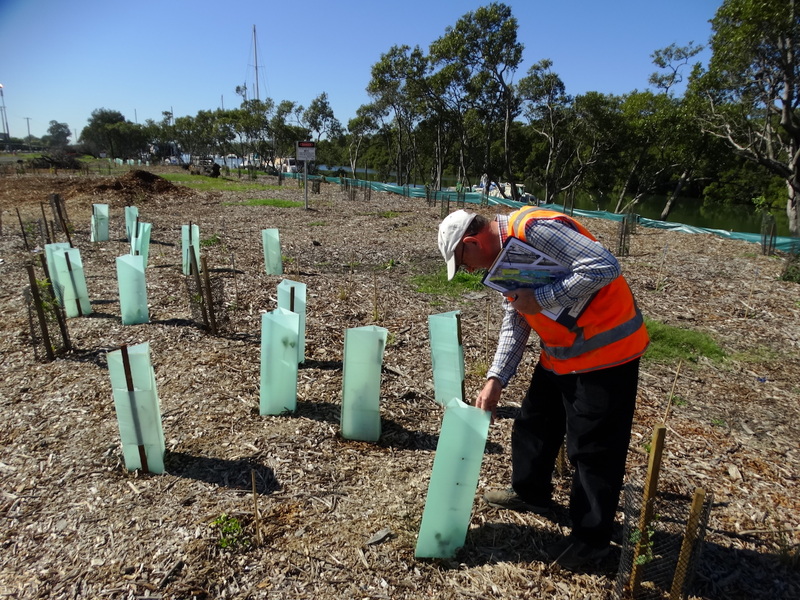 Extension of a 142 sqm to east – to mulch and plant 142 native species. More clean-ups of site required. B4C Catchment Manager Wayne Cameron inspecting the Gibson Island site at Murarrie. B4C Catchment Manager Wayne Cameron says there are multiple benefits for a project like this. There have been plenty of challenges for the site, including starting the project without a viable budget. “It was a big challenge, but also a great opportunity, and we jumped straight in,” Wayne said. Gibson Island, Paringa Rd, Murarrie. We’ll start with a morning tea and then get on to the clean-up. Wear hat, sunscreen & closed in shoes. We’ll have reusable coffee cubs and water bottles (or bring your own). Contact us on b4c@bulimbacreek.org.au / 3398 8003 to get involved. 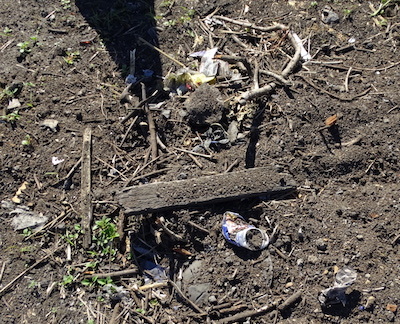 This clean up event is sponsored by Brisbane Airport Corporation.